Set in the beautiful woodlands of the Pocomoke Forest, with its collection of historic nineteenth-century buildings and Nassawango Iron Furnace, Furnace Town is a learning center for the study of our history and it provides a concrete basis for ideas and traditions that help inform who we are and where we came from. The Furnace Town Folk School is an idea brought to life through the passionate contributions from our community and board of directors. The Folk School promotes and preserves the stories, skills and knowledge of life in the nineteenth-century on Maryland’s Eastern Shore. It offers hands-on classes, demonstrations, and workshops led by skilled artisans from throughout the region that exemplify our cultural traditions such as fiber arts, broom making, blacksmithing, music, storytelling, and more. The Folk School provides creative and meaningful opportunities to explore and examine life from a time gone by. 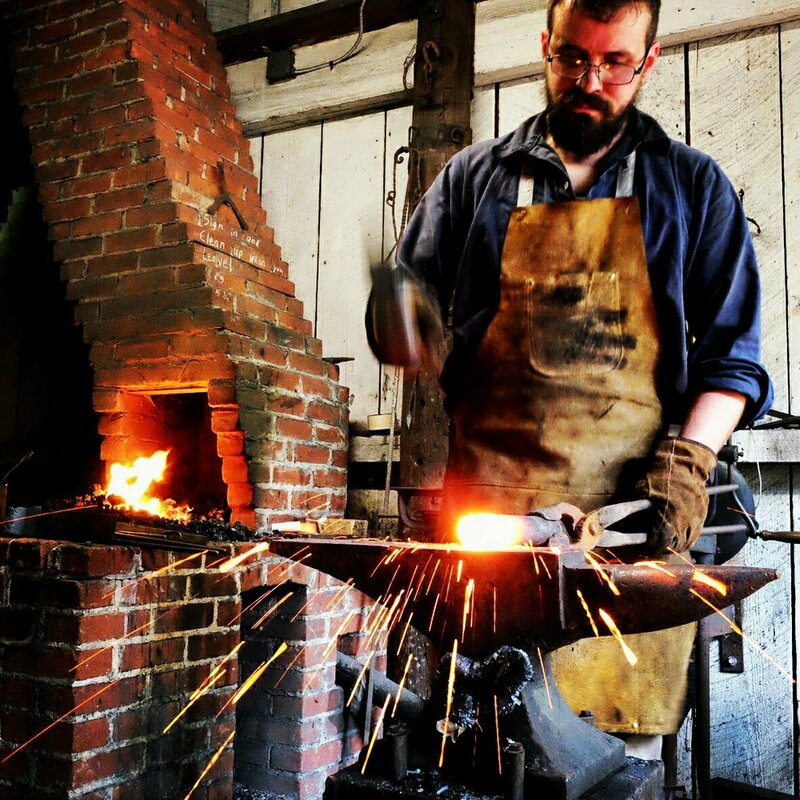 Workshops and programs enrich lives and build community by teaching traditional nineteenth-century trades in a student centered learning environment where current and future generations will continue this rich cultural legacy. And the Folk School has been embraced by local artisans, business and community leaders who understand the need to promote tourism on the Lower Eastern Shore, while preserving our shared cultural heritage for the benefit of future generations. An important part of our recently launched Folk School is the Americana Music Series: Bluegrass, Brew & BBQ. Each performance in this four concert series featured a related genre of music, or a specific style of bluegrass music and featured a wide range of musicians from talented teenagers to seasoned professionals. Bluegrass, Brew & BBQ strengthened not only our mission, and the stories we tell about the Irish, Scots and British who migrated to the mid-Atlantic and Appalachia and the enslaved Africans who brought with them the basic styles of music that are generally considered to be the roots of bluegrass music as it’s known today. The future of the Folk School is bright and we look forward to including demonstrations, classes, and workshops in craft beer, cooking, music and dance - everything from shape note singing to master classes with musicians. The Folk School artisans preserve our history and culture in a way that draws people in and gives them a literal way of touching the past. It gives our visitors a direct connection to social values and customs of our ancestors. This unique presentation of our cultural heritage helps us preserve and protect our cultural traditions, places, and customs so that history lives on and students of all ages understand their role in sustaining our community today and for future generations.